1.First is the spam containing inappropriate content. 2.Second is the photo people are sharing after they are hit by the spam ( and putting all blame on hackers). Recently one of my friends pointed out a strange thing happening with his account. He tried to delete the spam but in turn it started spreading through his profile even though he didn't click the spam link. Well its tough to tell why this is happening but his problem shifted my attention back to the spam codes where found a buried script which was doing quiet a fun with the cookies. I didn't notice that script while I posted about the "This happens on live television spam". Later today my friends problem brought my attention to that script. Anyways I dont want this tutorial to turn too geeky so I will speak simple language. Lets talk about 5 things that you can do to completely get rid of the spam in case you accidently( or knowingly) clicked it. The steps mentioned here are in order. So if you are a victim then follow all the five steps starting from step 1. This is the first precautionary step. 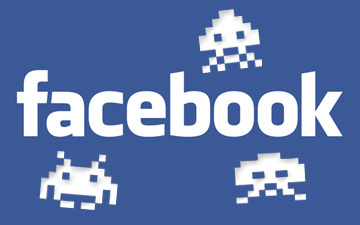 Immideatley report the spam to facebook( don't click on delete). Reporting as spam automatically hides the link from your feed so dont take the risk of deleting it. The recent spam asks you to install a missing plugin. So in case you have installed it, act fast to remove it. If you are using firefox then go to Firefox > Add-ons > Extensions . Here you will find the malicious plugin. Click on Remove to get rid of it. For Crome users, click on the small Rinch icon at the right corner of the browser, then click on options and move to Extensions. Disable and remove the plugin from there. Immideately switch to https version of facebook if you still haven't. This will prevent any kind of session hijacking and will prevent the http cookies created by the spam in your system to re-post the link on the profile. The spam creates lots of fake facebook http cookies on your system which can re-post the spam links on your profile and can redirect you to other links as well. So it is highly recommended that you delete all the browser cookies. Clearing history can also help in cases where you may again accidently click the link. You can go to Browser options to clear the cookies, history etc. Last but not the least. Change the facebook password. Your facebook account is precious to you so why to take the risk. These are a few steps you can follow to protect your account from spams. In case you have any other problem related to spam on your profile then add your comment here.